Being an aunt is a significant piece of how I define myself. My siblings are significantly older than me: 10, 8, and 6 years respectively. My older sibling/sister had her first baby when I was 16. 11 years later, I now have a four nieces and one nephew – divided between my oldest sister and brother. 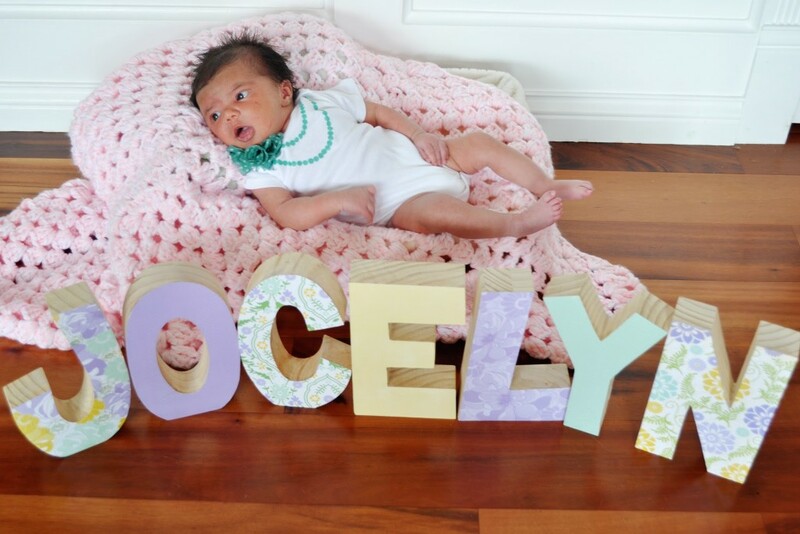 Jocelyn, the newest addition to the family, was born a few weeks ago, and I am so excited! Becoming an aunt again never gets old!! I love the fact that at 11, Darby has become more of her own person – a mini-adult; she loves trying new things in the city and has started to remember where things are in Chi-town. But I also love snuggling with a new baby and getting to watch them grow. Being an aunt is just pretty awesome all the way around. 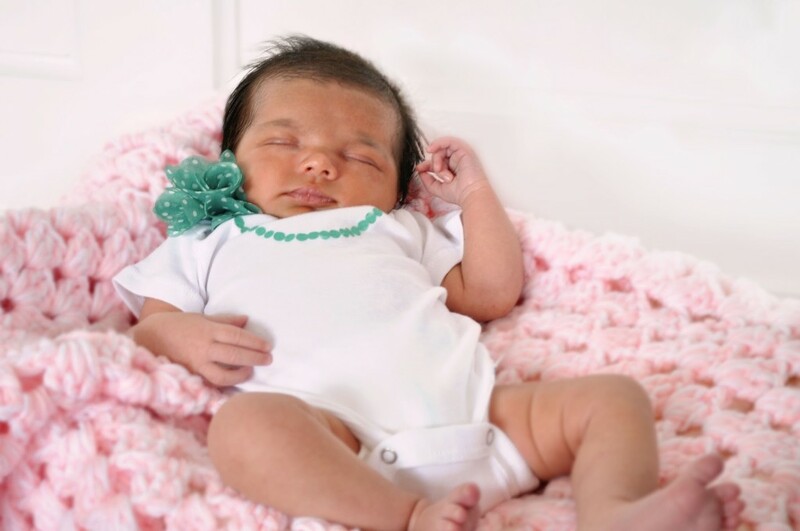 I will be sharing lots of goodies and details with you soon – including how I decorated the onesie she is wearing in these pictures, how I decorated her name, AND her birth announcements. Plus, you will get to see the projects I did for my best friend’s baby Amelia as well – so much girly fun lately! But in the meantime – meet my niece Jocelyn! What a cute idea! Those letters make a huge difference and make it look unique!